HOLIDAY TRAVELLERS DESK PVT LTD - Bachelorhood Certificate/ Single Status Certificate apostille from Ministry of External Affairs. Bachelorhood Certificate/ Single Status Certificate apostille from Ministry of External Affairs. Bachelorhood Certificate/ Single Status Certificate/ Affidavit Apostille service from Mumbai, Maharastra, India. Bachelorhood Certificate/ Single Status Certificate apostille for France, Malaysia, China, Philippines, Israel﻿, Thailand, Bangkok, South Africa, Russia, kyrgyzstan, France. Bachelorhood Certificate are required for getting married in some countries. Bachelorhood Certificate is needed to prove the marital status of a person. There is no uniform process to get Bachelorhood Certificate in India. Commonly it contains the seal and signature of a first class magistrate along with other formalities. for most countries the Bachelorhood Certificate has to be APOSTILLE from Ministry of External affairs in DELHI. We Provide this service in India and. We would prepare the Bachelorhood Certificate and will complete all the legal formalities. Bachelorhood Certificates content is Different, Different Depend on country and it will be print on Rs.100 stamp Paper of INDIAN NON JUDICIAL. Single Status/Bachelorhood Certificate apostille Service is also done on URGENT basis from Ministry of external affairs Delhi,Patiala House with the facility of 4th day delivery. DURATION: We Provide apostille In URGENT Basis within 6 working Days. DOCUMENT REQUIRED FOR APOSTILLE: Passport Xerox Copy. Bachelorhood Certificate Apostille can be done For following Countries. Bachelorhood Certificate apostille in Shivajinagar, Mundhwa, Bavdhan, Hadapsar, Swargate. Khopoli, Seawood, Belapur, Khed, Poladpur, Chiplun, Ratnagiri. 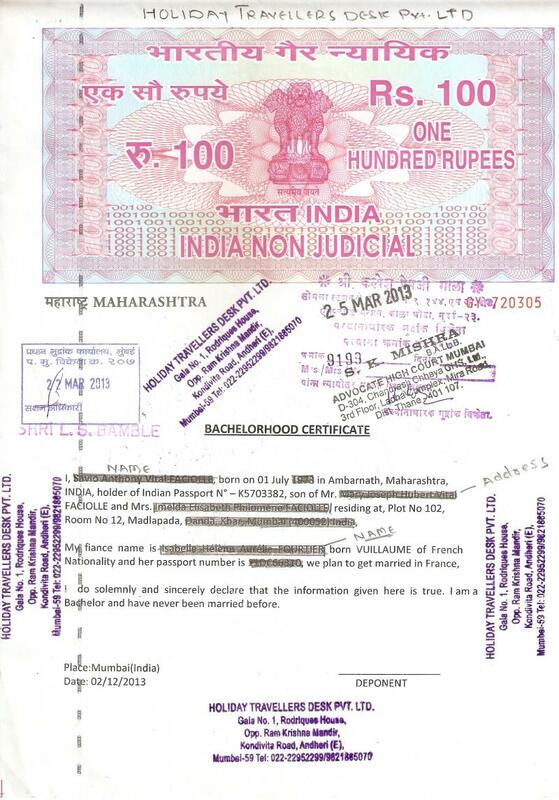 Bachelorhood Certificate apostille from Nagpur, Nasik, Aurangabad, Jalgaon, Nandurbar, Dhule, Jalna, Beed. Bachelorhood Certificate apostille in Nanded, Osmanabad, Amravati, jalgaon, Buldhana, Akola, Parbhani, Latur, Yavatmal, Washim, Nagpur, gadchiroli. Bachelorhood Certificate apostille in Rajkot, Patan, Kuchch, Rann of kachchh. Bachelorhood Certificate apostille in Jamnagar, Amreli, Porbandar, Junagadh, Surendranagar. Bachelorhood Certificate apostille from Surat. Bachelorhood certificate apostille from Vadodara. Bachelorhood Certificate apostille in Ahmedabad. Bachelorhood Certificate apostille in vadodara. Bachelorhood Certificate apostille from Pune, Kothrud, Nigdi, Wakad, Chinchwad, Pimple Nilakh, Chakan, Danori, Sangli, Kolhapur, Solapur. Bachelorhood Certificate apostille in Sangavi, Balewadi, Dopodi, Kalas, Lohagaon, Baner, Aundh, Khadki. Bachelorhood Certificate apostille in Yerawada, Viman Nagar, Kharadi, Raj Bhavan, Pashan, Sutarwadi, Tanaji Wadi, Kalyani Nagar, Amravati, Jalgaon, Goa. Bachelorhood Certificate apostille procedure, Bachelorhood certificate apostille procedure in Mumbai and Pune. Bachelorhood Certificate apostille attestation Mumbai and Pune. Miraroad, Bhayandar, vikhroli, Kanjurmarg, Vikhroli, Ghatkopar, Ulhasnagar, vithalwadi, Bhandup, Nahur, Mulund, Kalwa, Mumbra, Diwa, Dombivli, Thakurli, Kalyan, Mira Road, Bhayandar, Naigaon, Vasai Road, Nala Sopara, Virar, Vaitarna, Saphale, Kelve Road, Palghar, Umroli, Boisar, Vangaon, Dahanu Road, Churchgate, Marine Lines, Charni Road, Grant Road, Mumbai Central, Mahalaxmi, Lower Parel, Elphinstone Road, Dadar, Matunga Road, Mahim, Bandra, Khar Road, Santacruz, Vile Parle, Andheri, Jogeshwari, Goregaon, Malad, Kandivali, Borivali, Dahisar,Vashi, Sanpada, Juinagar, Nerul, Seawoods, Belapur, Khargar, Mansarovar, Khandeshwar, Panvel,Vashi, Sanpada, Turbhe, Kopar Khairane, Ghansoli, Airoli, And Thane. Bachelorhood Certificate apostille agent in Ambernath, Kalyan,Karjat ,Kasara,Ulhasnagar Badlapur,Titwala,Vitthalwadi, Neral, Shahad, Ambivli, Titwala, Khadavli, Vasind, Asangaon, Atgaon, Khardi, khopoli, Amravati, Jalgaon, Goa. Bachelorhood Certificate apostille from Tamil Nadu.